Nationwide Coverage. We Deliver Anywhere! 24Hour Caskets offers free delivery to most areas within 25 miles of most major airports in the continental United States. 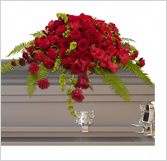 In many cases, we can deliver the casket the next business day. There may be a small surcharge for some rural areas, rushed deliveries, and/or weekend deliveries. Ordering from our online store is an easy process. 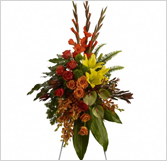 Deliver Directly to Funeral Home or Mortuary. Worry Free! 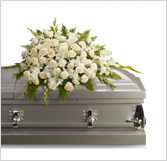 Purchase casket online or call our customer service. Our customer service will call you to confirm the order. We will contact the funeral home to arrange delivery. We will notify you when the casket is delivered. 24hourcaskets sells caskets directly to consumers while buying direct from the manufacturer. This combination allows us to offer you identical products that you will see at a funeral home but at a much lower price. Many of our products are not even available at your local funeral home. We Deliver Anywhere Within 24 Hours! Your location is not listed in the above map? To Qualify for 24Hour Guarantees your Funeral Home must be located within reasonable distance of an airport that supports the transportation of a funeral casket. Please Contact Us for additional information. Acts of God, weather related conditions and states of emergencies, accidents may delay delivery beyond the stated delivery parameters and 24Hour Caskets will not be responsible for such delays. No matter where you live, 24hourCaskets.com can provide service to you. * We have supplied caskets to families from Canada all the way to South Africa, and from California across to vNew York. Below is a list of many common areas that we supply. Don’t see your city? Don’t worry! Just give us a call and we will work out the details. *At this time caskets are not available in Oregon or Washington State.